Utunen played in Finland’s third pairing and was given shifts also at short-handed. The Canucks draft pick played a decent game, but did not amaze in any way. His skating was smooth and he mainly played very safe game giving the easy first pass. He was however a bit in trouble occasionally in physical battles versus bigger opponents. He can compensate the physical side with his skating and hockey IQ, but especially on short-handed in front of the net the problems sometimes arise. 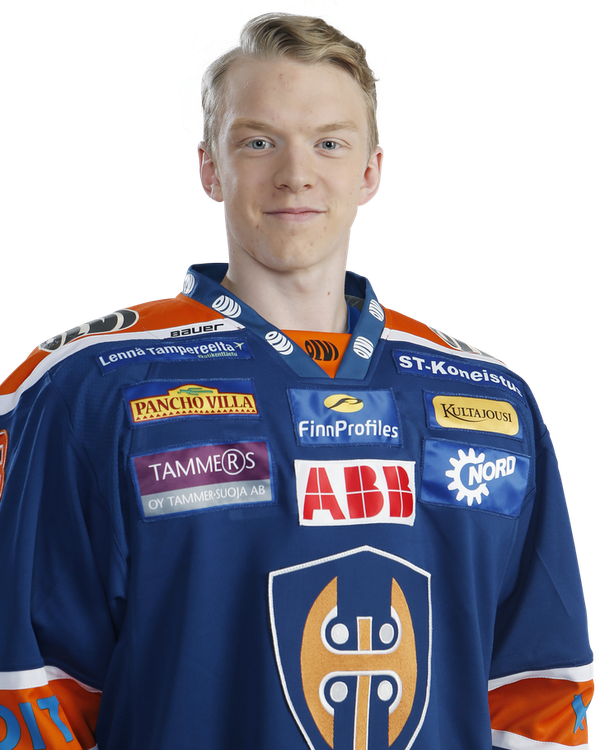 Utunen played as an extra defenceman for Tappara and had 8:46 minutes of ice time. Overall, he played safe and didn’t risk his position for the puck. Utunen had a couple of failed attempts to break the puck out of the defensive zone. The Finn didn’t get the puck often in the offensive zone as his role was to cover the neutral zone. Utunen has relatively smooth skating and he doesn’t try to do anything flashy. He plays in a sheltered role, which limits his chances to show what he can do in a regular game pace. The smooth-skating defenceman got a primary assist and recorded over 30 minutes of ice time in a bronze medal game against HIFK. The game was settled in overtime and Utunen was unfortunately part of the losing side. Utunen played solid game, but since he has spent the season playing the pro game, I would have expected him being much more dominant. He has pretty good puck-handling skills and he was really confident while carrying the puck. While he usually is solid in passing game, surpsisingly, he made many sloppy passes today. I would like to see him playing with more intensity and being more physical in the future. His shot also needs some improving. Utunen reads the play well and his positioning is solid but I thought he gave bit too much open space for the opponents. While the defenceman is not especially flashy, he is offensively pretty good, he can keep the puck even in tight space and he usually makes the right decisions with the puck. His best part however is his skating. He is quick and especially his agility and first steps really stands out. Utunen got into the playing three pairs for the first time this season in Liiga, and played 16.48 in the third pair. He didn’t make it in the scoresheet, but played a very good game in both ends of the ice. His skating looks even better than last time I saw him, and his positioning is very good. He is also very agile on skates and can keep a very good gap control because of that. While he is still a bit lightweight, he wasn’t outmuscled at all in the game. Offensively he most often gave the easy first pass, but he also joined the rush a couple of times. His hockey IQ seems to be good enough for this level. Young defenceman had a solid performance when Tappara secured 3-0 victory against Slovakian team. Utunen collected two assists the first one being primary assist for Tappara’s second goal. Utunen played solid passing game and he looked really comfortable with the puck even under the pressure. However he occasionally had some problems at own area because of his lack of size. He is smallish and still very lightweight and due to this he got knocked off the puck couple of times. Despite this, Utunen showed willingness to go to the dirty areas and board battles. Utunen could be bit quicker but he is smooth and agile skater. His awareness, decision-making and vision looked excellent especially considering his age. Utunen has had a good tournament so far. He has played wisely using his strengths. His skating is smooth and and it looks like he doesn’t need to put much effort to it. He isn’t very physical player, and he relies more on his good gap control and skating than hard hits or pure muscle power. His positioning is also on a good level. While he isn’t a flashy player in any way, Utunen can handle the puck well and gives crisp passes. Utunen is very poised with the puck and is not afraid of trusting his puck-handling skills. Despite being the youngest player on ice, Utunen was one of the best defenders in the game. Utunen got a lot of ice time playing on the first defensive pair and also on special teams. Defenseman is smart, moves well, gives solid and precise passes and manages to keep puck while being in tight spaces. He is also impressive at the defensive end for a player of his age. He has good gap control and he breaks passes often thanks to his excellent positioning. As expected due to his young age, Utunen is still lightweight and he occasionally gets into trouble while he is battling in front of net or against the boards.